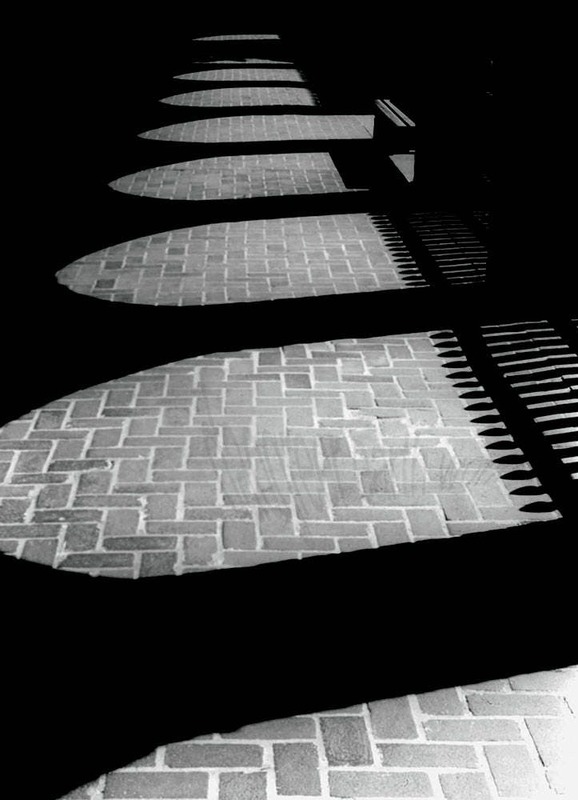 The shadows cast by these archways change rapidly as the sun moves. It took me many months of returning to this spot when the sun was just right, and when no people needed the path, to get this photograph. Photograph was taken in Tacoma, Washington, USA. Image is 1736 x 2400 pixels.